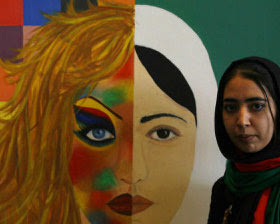 There was a Art show of Afghan Girl's work in Kabul. Progress is happening. No riots, demos, etc. What do you see on your way to work? I found a Legendary Vehicle...?